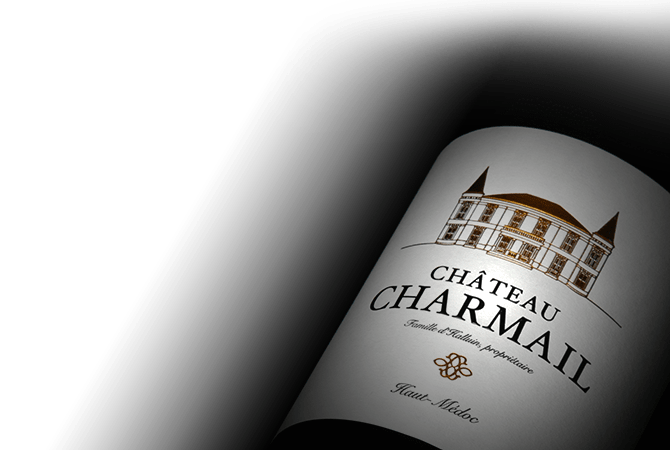 Chateau Charmail is located on the banks of the Gironde in the Haut-Médoc appellation in Bordeaux. The estate gained its viticultural reputation from as far back as the eighteenth century. This winemaking tradition contributes to the strength of the chateau's terroir. Today, the estate is run by Bernard d'Halluin and his daughter Marie. The previous owner Olivier Sèze remains a consultant oenologist for the estate. Together the team continues to uphold the rich tradition for Chateau Charmail.